As far as we’re concerned, any restaurant serving wine is important -- but we have to concede that there are a select few Parisian eateries that’ve popped more than just a few corks. From introducing gluten-free baking, to proliferating entirely new ways of cooking, these places have had the biggest impact over the last few years. These are the restaurants that make Paris, Paris. Often ranked as one of the best restaurants in the world, Le Chateaubriand has been imitated but never recreated by other bistros. The modern cuisine prepared by Basque chef Inaki Aizpitarte is playful and surprising, and always delicious. Wines are unconventional, biodynamic, and (gasp) not always French. Yet the entire place feels like your corner bistro with few frills and little glitz. There’s no menu to choose from, and those without a reservation can queue up on the street to try and snag a table -- one of the few characteristics that other restaurants do not copy. 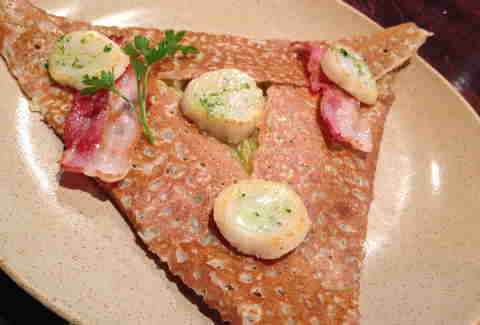 Crepes are to Paris what a slice is to New York, but Breizh Café has classed them up a bit. This sit-down creperie offers fresh meats, seafood, and produce in its savory buckwheat crepes, while dessert crepes feature seasonal sweets like chestnut cream or rhubarb. No matter which you choose, expect Bordier butter -- some of the best in France -- to find its way onto the plate. While street crepes are fantastic, Breizh raises the bar and is indisputably Paris’ best creperie. 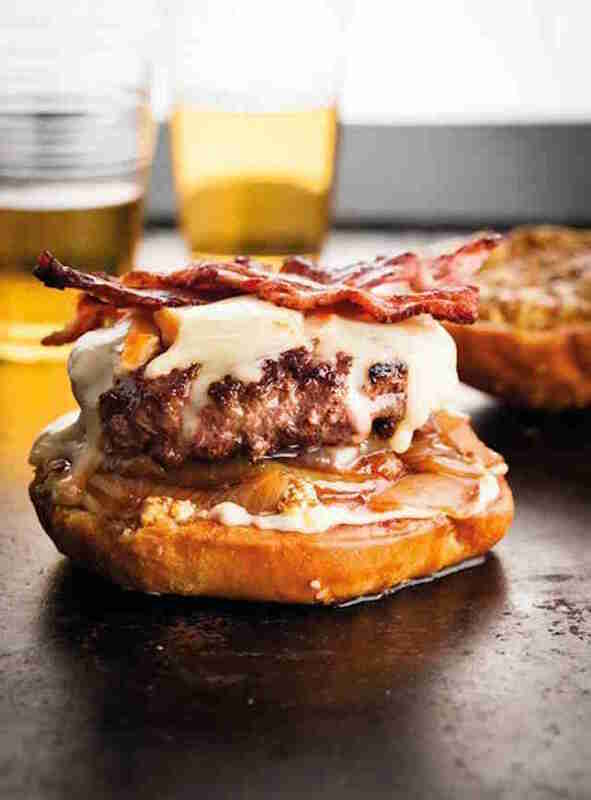 Who would have thought a burger truck would spark a rollout of food trucks in Paris? It was an American that started the trend, but the French have more than caught up with the hype. The Camion’s gourmet burgers were the first of mobile food offerings that now include grilled cheeses, fish & chips, and burritos all served on four wheels around town. While Paris food trucks aren’t yet nabbing Michelin stars, there’s something to be said for spearheading a trend in a culture so accustomed to spending hours at the table. 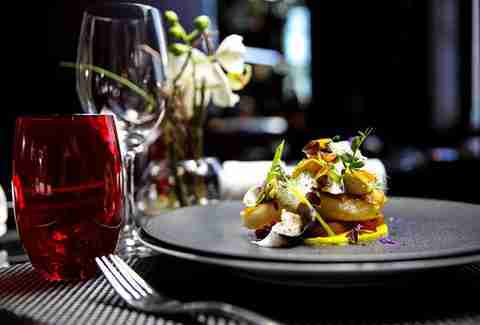 Seasonal, market-fresh, contemporary French dishes are the highlight at Bertrand Grébaut’s neo-bistro. A former chef at L’Arpège (also on this list), Grébaut helped make the neo-bistro a fixture in Paris. The restaurant is simple, with almost industrial décor, allowing the food be the star, with surprisingly affordable menus -- 30 euros for a Michelin-star lunch? Sounds great, if you can get a reservation. 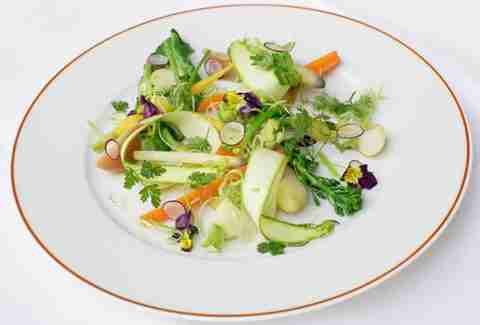 Chef Daniel Rose from Illinois shook up the Paris scene with his restaurant Spring in 2006. Offering seasonal dishes on his tasting menu often served in group settings, it’s still one of the most exciting places to dine. He has since opened a second, more traditionally French address. If nothing else, however, Rose proves that American cooking isn’t quite as depraved as the French might think. Famous chef Alain Ducasse took this century-old, family-run bistro and turned it into one of the chicest places to get traditional France fare. In recent years, this form of cooking has become stylish again, with new Old World bistros opening little by little in Paris. 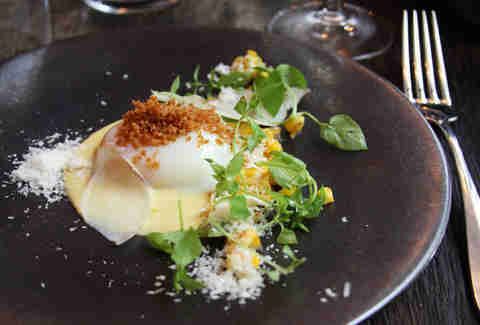 Ducasse was well ahead of the game, though his homely cooking isn’t rustic, cheap fare. This is Alain Ducasse we’re talking about. Hate on it all you want, but one of the only reasons Instagram is full of photos of rainbow-colored macarons is because this place helped make them trendy. 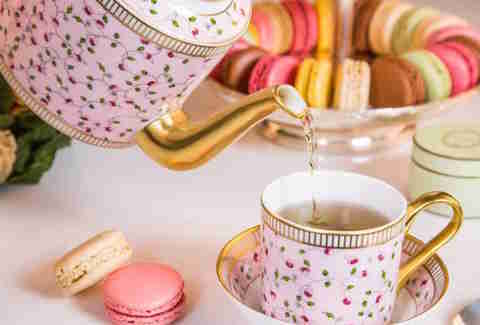 The tea salon and pastry shop has been around since the 1900s, but only in the last decade or so did macarons become “a thing.” Apparently Ladurée did something right, opening shops in London, New York, and Sydney, among other locations. 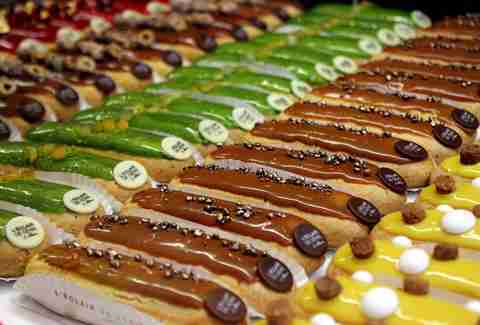 They may not be considered the best macarons in Paris, but few people ever refuse one. Since the late '90s, Pierre Gagnaire has been a celebrated Michelin-starred chef, recently named “World’s Best Chef” by his peers. Not bad. He is the reference for modern French cooking, fusion cuisine, and daring recipes that have shaken up the culinary world. 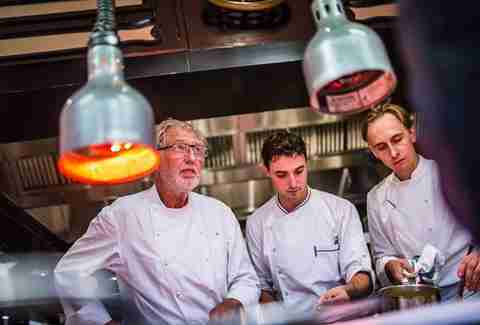 He has been mentor to other decorated chefs like Paul Liebrandt in New York and Olivier Elzer in Hong Kong. His restaurant continues to be one of the most sought-after tables in Paris -- and the world. Everyone loves sitting in a café, but the coffee itself isn’t always delectable in Paris. 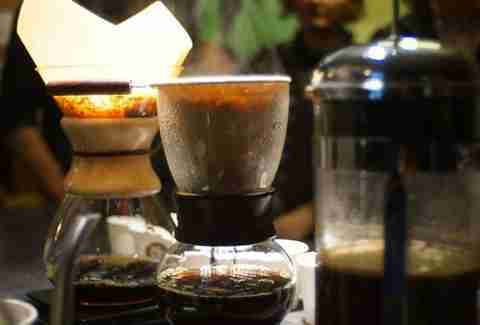 It was only in 2005 that Guatemalan native Gloria Montenegro decided to prove to Parisians that coffee could be delicious. Ever since, Le Caféothèque has offered carefully sourced beans roasted on the premises, with expert baristas brewing up lattes and espresso shots in the quirky little café. Today, gourmet coffee shops are becoming too numerous to count, with the roasters of the Belleville Brulerie furnishing coffee for most of the trendier places, but Le Caféothèque is still a favorite for true coffee lovers. 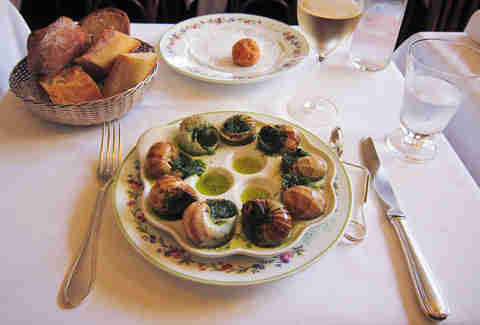 The location of one of the first real restaurants in Paris is as beautiful as its dishes are sumptuous. Over the past two centuries, different chefs have catered to high-profile clientele, and several renovations and name changes have not stopped its renown. 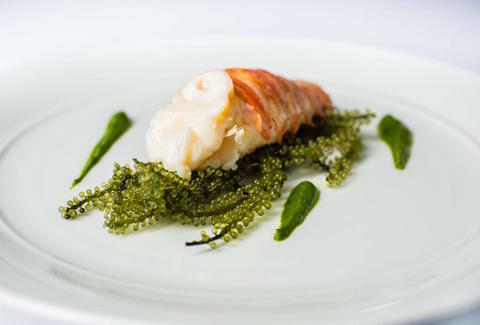 Today, under Chef Guy Martin, Le Grand Véfour maintains two Michelin stars, a mainstay of high-end cuisine in Paris that set the tone for high-end restaurants since the French Revolution. You’d think with all of those baguettes, "gluten-free" wouldn’t ever be uttered in Paris. Apparently, however, some French do suffer from Celiac disease, and in 2011 a French couple (one of whom also suffers) decided to open up a gluten-free pastry shop. 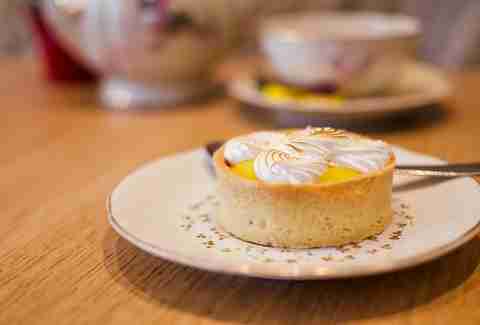 Like flies to honey, locals who couldn’t even touch French pastry flocked here to experience, at last, what the rest of us often take for granted. Their new location near the Madeleine is for takeaway only, but more projects are underway. 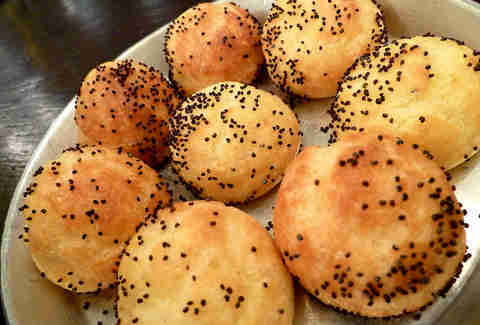 Nowadays, gluten-free products are easily available at many supermarkets, and other shops and restaurants offer gluten-free menus. Once called “Chef of the Century” by French guide Gault Millau, Joël Robuchon is synonymous with gourmet French cuisine across the world. His two Paris “Ateliers” are relaxed and accessible Michelin-star restaurants (he has more than anyone else in the world, mind you) that propose simpler yet sophisticated, expertly crafted plates. 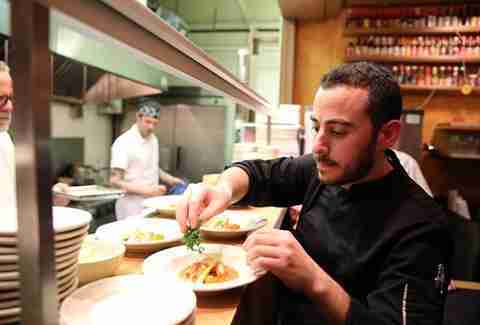 He’s a huge proponent of perfectionist cooking, without the over-the-top frills of some other chefs. If nothing else, we can thank him for training British chef Gordon Ramsay before his rise to fame. Chef Alain Passard made headlines with his restaurant over the last decade or so by introducing seasonal menus based on his very own gardens across France. His veggie-heavy dishes are dependent on every vegetable and herb he grows, something that other chefs can only dream to accomplish. His restaurant has spawned other notable chefs like David Toutain, who learned a thing or two about earning Michelin stars from his time at L’Arpège.